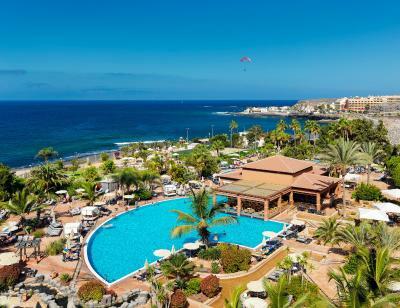 Lock in a great price for H10 Costa Adeje Palace – rated 8.3 by recent guests! Customer service Ms Hadi made every effort to make our stay perfect. Complements to the 2 chefs for preparing very good meals. Rooms have very generous sizes and balconies. Hotel is 1 minute away from beach that is excellent for surfing and swimming. Great location, in peaceful part of Costa Adeje, surrounded by stunning, natural scenery. Staff throughout the hotel were very helpful and well trained. Wide range of activities and facilities. Super breakfast buffet. Privilege facilities seem well worth considering, which I will do on a future visit to enhance my overall experience. It was nice! We liked more or less everything, but there is an issues probably with all hotels in Tenerife. We liked our room, view of garden, cleanliness in room, they welcomed us with CAVA and the park around hotel is just awesome, gorgeous and etc. Sea just around the corner! So amazing. Comfortable bed. Lovely views. Good breakfast with Buck's Fizz every morning. Great location. Helpful friendly staff. They changed our room as it was not as it said - a side sea view. Cleaning staff very helpful, friendly so was the receptionist and the staff in the restaurant. The hotel was very nice and clean, plenty of sun beds. H10 Costa Adeje Palace This rating is a reflection of how the property compares to the industry standard when it comes to price, facilities and services available. It's based on a self-evaluation by the property. Use this rating to help choose your stay! One of our top picks in Adeje.Located just 150 feet from La Enramada Beach in Tenerife, H10 Costa Adeje Palace features large outdoor pools, a hot tub and spa. The chic rooms include a furnished balcony. The hotel runs a free shuttle service to the popular resort of Playa de las Americas, 2.5 mi away. Costa Adeje Golf Course is less than 1.2 mi away. The hotel also offers golf packages and special green fees for some courses. The luxurious Despacio Spa Center has a heated indoor pool, gym and Turkish bath. Guests can also book health and beauty treatments. A full program of sport and other activities is available. H10 Costa Adeje Palace offers many dining options, including buffet and á la carte restaurants. There is a poolside bar and barbecue, as well as a piano bar. When would you like to stay at H10 Costa Adeje Palace? This air-conditioned room has a double bed, flat-screen TV with satellite channels, and a furnished balcony. The private bathroom includes a bath and hairdryer. Extra beds and cots are not available in this room. Featuring a furnished balcony with partial views of the sea or pool, this air-conditioned room has a double bed and flat-screen TV with satellite channels. The private bathroom includes a bath and hairdryer. This spacious suite features a private terrace with views of the sea, pool or garden area. It has 1 double room, a seating area with a sofa bed, and 1 bathroom with a bath and shower. A flat-screen TV with international channels is available. There is also a coffee machine or kettle, as well as an iPod Dock. This air-conditioned family room features a private terrace with views of the sea or the gardens. A sofa bed and kettle are available. This air-conditioned family room features a private terrace with views of the sea or the gardens. This air-conditioned double room features a private balcony with side views of the sea or the pool. A mini-bar and coffee machine or kettle are available. A robe and slippers are also provided. This air-conditioned room features side views of the sea or the pool and 1 bathroom with a shower. It includes parquet floors, a flat-screen TV with international channels, coffee machine or kettle, iPod dock and safe. The hotel is situated in the south of Tenerife on the Costa Adeje, one of the island's most well-known tourist destinations, whose beautiful beaches and wide range of services and leisure activities really make it stand out. House Rules H10 Costa Adeje Palace takes special requests – add in the next step! H10 Costa Adeje Palace accepts these cards and reserves the right to temporarily hold an amount prior to arrival. Guests can rent a safe and mini-bar for an additional cost. Please note that drinks are not included in halfboard and fullboard rates. Please note that payment must be made at check-in. The hotel is located near several high-level golf courses and it offers special golf packages and green-fees. For nonrefundable rates, the hotel reserves the right to request, at check-in, both the credit card used to pay in advance and the cardholder’s ID. Please note that when booking a rate where payment is due before arrival, the property will provide detailed payment instructions, for example a link to a secured payment platform. The pool side bar was understaffed we had to wait 20 mins to get a drink if you sat at a table, so most of the time we queued up and got served that way a little bit quicker!! Mostly only one member of staff serving and one doing the table service, a few more staff needed more often and they could of had someone walking around serving you drinks from your sun bed as most hotels do.